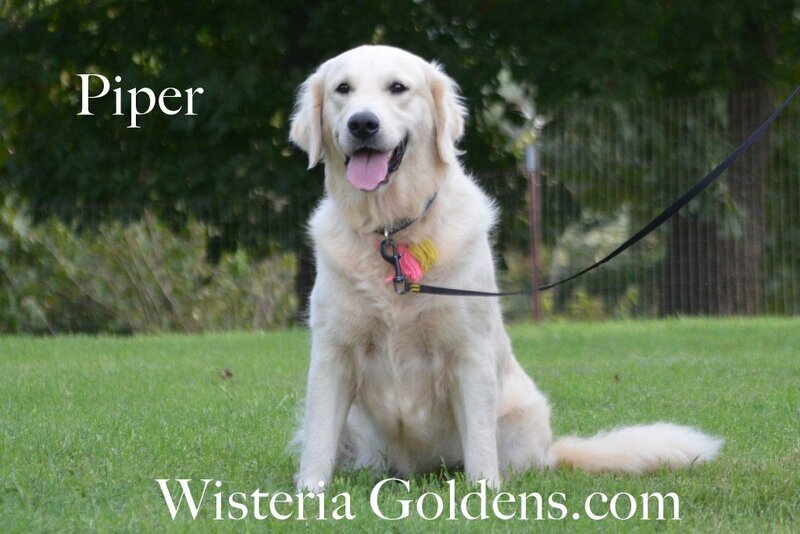 Piper is a kind, gentle, smart girl. 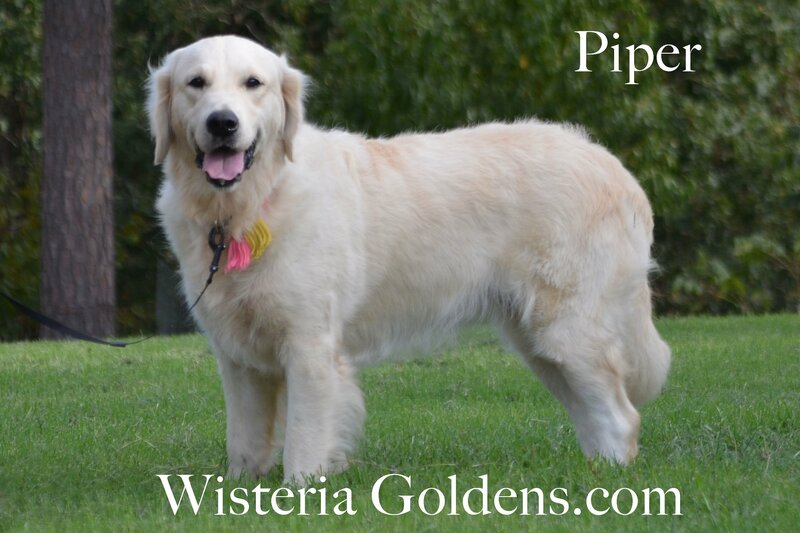 She is calm, sensible and always alert to the wishes of her family. She is a beautiful girl with an excellent mind. 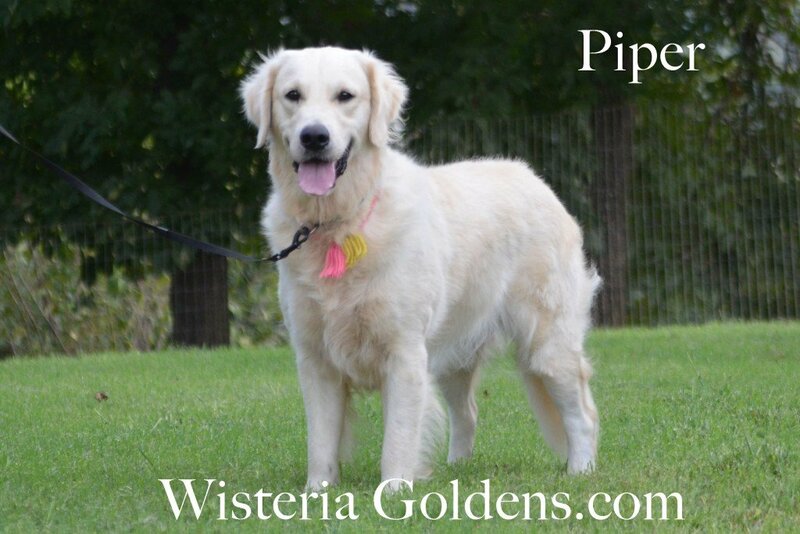 She is a born and raised Wisteria Golden. 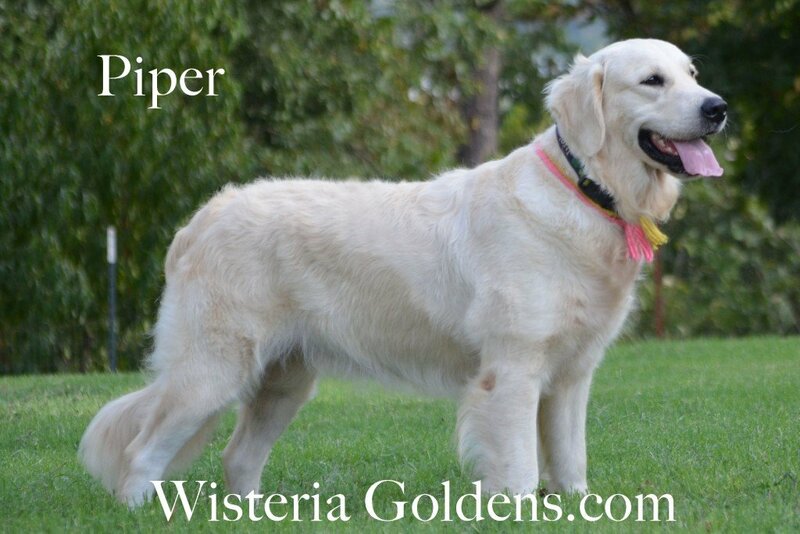 Her parents are Faith & Thor.